We hear it all the time. The mantra of being customer and buyer focused. Every year it shows up in one document or another. It is widely announced at the beginning of each year. The national meetings and celebrations fire up the troops. Then, like a slow warping LP record in the hot sun, it begins to lose its’ clarity and sound. The mantra dies. There has been much focus on customers and buyers over the past few years. 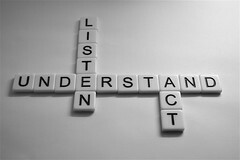 The need to listen and understand buyers today is broadcast throughout the business world on a daily basis. In a recent comment exchange with Bob Thompson of Customer Think (How Many Buyer Personas Do I Need? 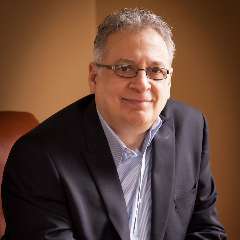 ), Bob alluded to the continuing struggle to listen and understand the buyer he has found in his own research on revenue performance. With all of the mantras and words written about this need, why is this so? Why does the struggle to listen to buyers continue? One reason is buyer understanding, especially in terms of buyer research and insights, tends to be viewed outside the parameters of business strategy. Boxed in by urgent tactical needs. Quarterly pressures mounting each new quarter. This is causing many organizations to be at the basic level of buyer insight maturity. My hunch is the 80/20 rule applies here. The majority of B2B companies are most likely at a very basic level of incorporating buyer insights into strategy. What is needed is a strong Buyer Insight Manifesto amongst business leadership to elevate buyer understanding to a strategic capability. There are some leading companies today who are at more advanced levels than most. Reaping tremendous benefit by using the full potential of buyer insight to establish market leadership. Due to monumental shifts in buying behavior, B2B organizations cannot stand idly by while buyers continue to change. If so, the organization will experience a slow drip into the well of extinction. There is another shift, which needs to happen. The use of buyer insights must shift from a data dump exercise to a strategy decision-making exercise. The data, referred to as insight, is mislabeled and offers no compelling insight, which drives growth. The function of research and insights is buried deep in the lower echelon and far removed from senior executives. Creating an obstacle course of agendas, politics, lack of strategic skill sets, and tactical orientation just to be heard. There is a lack of progress due to old business model and culture thinking. Where heavily entrenched product-centric or sales-centric thinking dominates. Making this shift to buyer insights-driven strategy means an organization will need to make changes to the status quo. Impacting the way functions interact, their culture, and setting standards on how to distinguish buyer intelligence from game-changing buyer insights. Senior executives will need to embrace buyer insights into their meetings and in the boardroom. 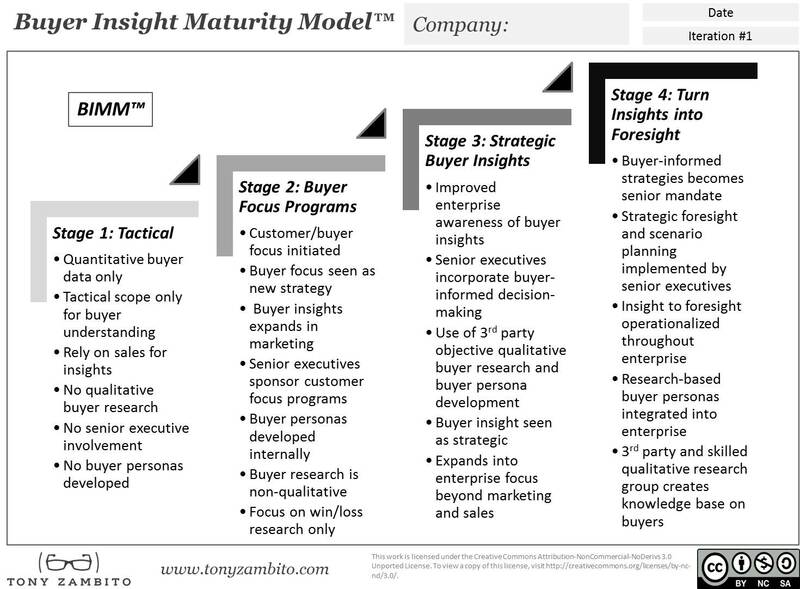 Buyer Insight Maturity Model: link available at end of article to download a copy. In this stage, buyer understanding is very inside out. Usually, we see a heavy reliance on quantitative sales information and sales reporting. Very little buyer research or buyer insights are acquired. Senior executive involvement is non-existent. Customer focus and buyer focus initiatives are begun. There is prominent orientation towards programs. Marketing begins to look at buyer insights beyond sales reporting. Senior executives announce and sponsor programs. Buyer research, buyer insights, and buyer personas are limited to internal discovery with win/loss perspective only. Buyer insights make their way into strategic planning. Incorporated into informed decision-making. Begins to take on enterprise-wide importance. The use of qualitative research expertise for buyer insights and buyer personas becomes strategic. Buyer personas become operationalized throughout the enterprise outside of marketing and sales. Strategies are mandated to be buyer-informed. Foresight planning and buyer predictability implemented to identify market opportunities. Buyer insights and buyer personas are qualitative research-based and integrated throughout enterprises. Organization identifies ongoing use of third party qualitative research expertise. Or, skilled core unit in qualitative buyer research is formed. The journey to open a seat at the table for buyer insights is being driven by external forces. Not just internal forces. Buying behavior is expanding at a faster pace than B2B organizations are able to keep up. B2B senior executives should not wait until hindsight tells them this. It may be too late by then. It is my belief most B2B organizations are at Stage 1 or 2 of this maturity model. Hindered by structure, culture, pressure, and misconceptions about buyer insights. This includes misperceptions about buyer personas, which can be a powerful communications platform for organizations to create a culture, which has everyone listening to their buyer. If your organization is having trouble hearing and listening to buyers, this maturity model can help.